When your customer loyalty program fits the following three benchmarks, you can expect to drive sales even further with cross-selling and up-selling. At Continuity Programs, we’ve seen results again and again from marketing touch points that develop and grow over time. The foundation of customer retention is built on tools that keep your business at the fingertips of its customers. We offer a series of communications that are customizable to your business, and personalized to your customers. Our customer loyalty program lets you take advantage of seasonal and promotional opportunities to communicate with your customer base, educate them as to the benefits of your products and services, and grow your brand awareness. Along the same lines, our program crosses communication mediums, so you can take advantage of the high open-rate of personalized greeting cards along with the convenience of an integrated email campaign and electronic responses. Every marketing communication piece allows you to further your brand, with the ability to customize each item with your logo and contact information, and showcase your product portfolio to consistently engage your customers. Additionally, every piece includes a means through which customers can easily communicate with you. The customer chooses whether they prefer to mail back the postage-paid reply card, fill out the survey online or simply pick up the phone and give you a call. By utilizing a planned series of touch points, a variety of marketing media and multiple platforms with a consistent brand message, your business’ growth will be lasting and successful. 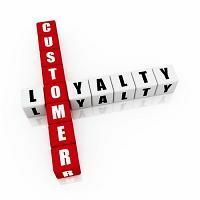 For more information about a customer loyalty program, customized to fit your company, contact Continuity Programs today!